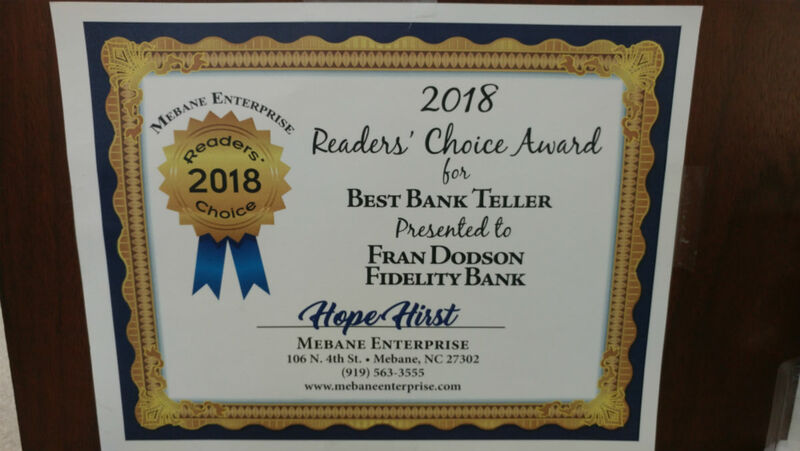 FUQUAY-VARINA, North Carolina (January 15, 2019) – Fidelity Bank is pleased to announce that Fran Dodson, teller at the Fidelity Bank Mebane location, was awarded the 2018 Readers Choice Best Teller in Mebane Award. 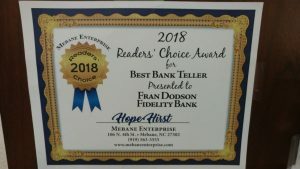 This honor receives nominations from readers of the Mebane Enterprise. “Fran provides Right By You service to each customer she helps on a daily basis. 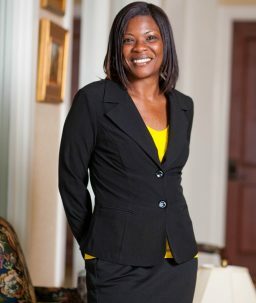 Her warm and caring personality makes our customers feel as if they are part of a family. 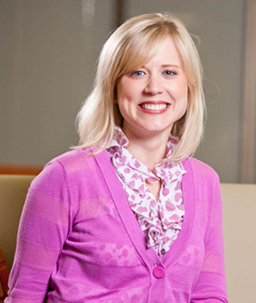 With 14 years of experience working at Fidelity Bank in the Mebane branch, Fran truly values how important it is to give our customers the best service possible.” Says Heather Eno, Office Manager at the Fidelity Bank Mebane branch. Fidelity Bank has one convenient location in Mebane at 1296 South Fifth Street. Fidelity Bank is a full-service financial institution with assets of approximately $1.9 billion headquartered in Fuquay-Varina, North Carolina. The Bank owns and operates 57 branches throughout North Carolina and Virginia; and was awarded a 5-star (superior) rating by BauerFinancial.